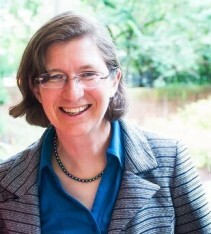 Anastasia Telesetsky is a Professor of Natural Resources and Environmental Law at the University of Idaho. Discards are harvested fish, aquatic life and seaweed that are returned to the sea. Discards happen for a variety of reasons including economic highgrading and avoidance of regulatory enforcement. Discarding becomes a critical fisheries management issue whenever discards are substantial in a fishery but are not reported. The topic of discarding has received academic and media attention in the past year. This research paper reviews New Zealand’s law and policy on discards and what the Ministry for Primary Industries (and its predecessor the Ministry of Fisheries) has been doing to address this complex biological and sociological issue. This project highlights international comparative approaches to handling discards in European and North American fisheries and offers a variety of suggestions to improve quality of available information for fisheries science, improve the operation of the existing quota system to reduce incentives to discard, improve selectivity during fishing, and enhance professionalism in the fishing industry. The project concludes with some thoughts about how New Zealand may be able to increase value for its export fisheries products.